Property owners now have a permanent solar financing program, after Halifax regional council voted unanimously to amend the Solar City bylaw Tuesday. The Solar City program offers financial incentives to qualified property owners to help offset equipment installation costs. Property owners then pay back the loan over 10 years, at a fixed rate of 4.75 per cent interest. There is no cost to taxpayers. According to Solar City Program Officer Kevin Boutilier, there have been 610 installations since the pilot program launched in 2013. That is enough solar power created to offset 2,200 tons of greenhouse gas emissions. 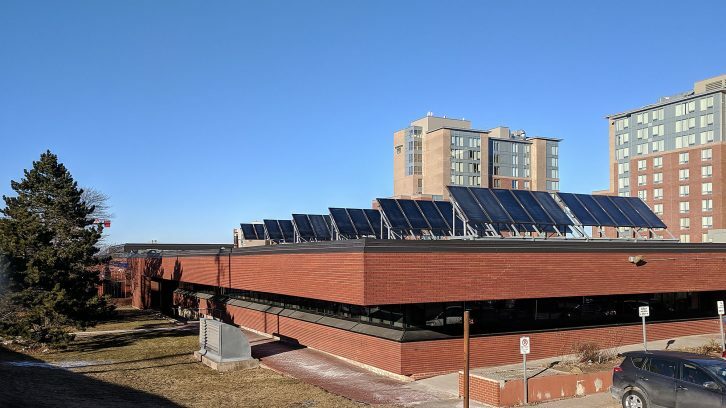 The provincial government now offers a rebate for solar photovoltaic panels installed through the Solar Electricity for Community Buildings Program. Property owners can now qualify for funding through both the provincial and municipal solar programs. “It is a wonderful step to make this a permanent program,” said Emma Norton, the energy conservation coordinator from the Ecology Action Centre. She would also like to see Halifax Regional Municipality adopt other energy conservation programs. “I think it would be a no-brainer to make sure that this loan extends to people who want to conserve energy before they start generating it on their roof,” said Norton. Several municipalities in Nova Scotia have adopted energy conservation programs, such as the Property Assessed Clean Energy program in Inverness. Norton is hoping to see this kind of program in HRM. “Solar financing is excellent. Let’s make it even better,” she said.